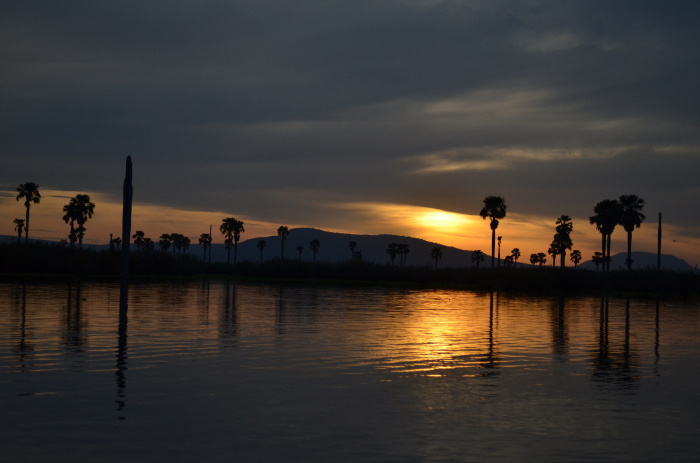 We’ve finally returned from our two and a bit months of travelling around Tanzania and Zanzibar. Climbing mountains, swimming with turtles, laying under the stars. Sigh. But we’re happy to be back to the UK with it’s freakishly cold March weather. Brr. But unfortunately for this blog, we’ve had to hit the books with our final exams only 2 months away (EEK)! So it won’t surprise you that I have no patterns or ideas to share with you. Sorry! But I do have some exciting updates from over the last few months! Firstly, we now have 30 followers! YAY x 30! Secondly…drum roll… The Little Pomegranate got nominated for a Liebster Award! (Massive thank you to Lyndsey2012 @sewanotherday.wordpress.com). For those not part of the blog world, awards are nominated in a chain letter way. By nominating a blog you ‘award’ them and they in turn (hopefully) pass on the award to other blogs that they think deserve the blogging world ‘kudos’. It’s basically like a warm loving hug and head nod from other bloggers! And as my first ever ‘award’, I’m pretty darn excited to receive it! Thirdly, look what hopped on into my inbox! 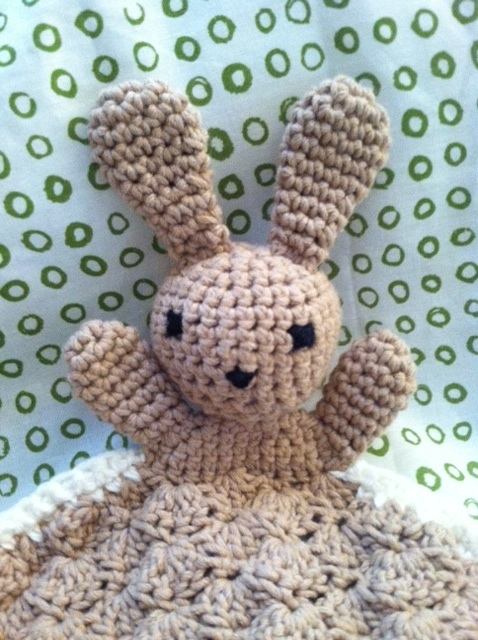 This adorable bunny blanket buddy came courtesy of Crystal from the US. 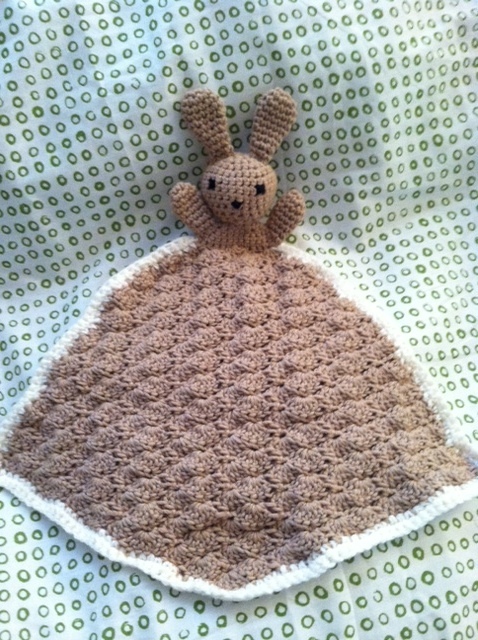 She says it was the first crochet pattern she had ever followed, and I’m sure you’d agree- she’s done an amazing job! Thank you for sharing! Fourthly… a second drum roll… The Little Pomegranate got nominated for the Versatile Blog Award! (Huge thanks to Vixilerue @vixilerue.wordpress.com!) One award was a wonderful surprise, but two?? I did not expect that! It’s so exciting watching The Little Pomegranate grow and I can’t wait to keep expanding! Perhaps a blog overhaul! Or maybe restocking of the Little Pomegranate Etsy shop! So many ideas! But for now they’re on hold (stupid exams!). I’m sure you’ll hear from me every now and then- and feel free to leave comments/email! I’ll also work on my response to the blog awards (one of the criteria for each is to answer questions about myself) so hopefully you’ll learn some more about me too!